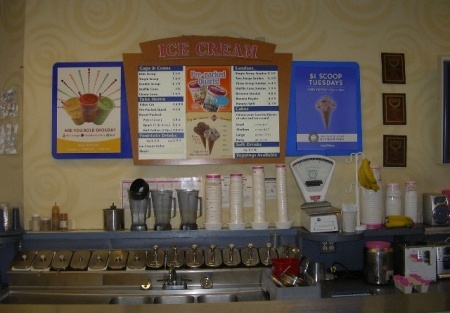 Popular Ice Cream Franchise In Placer County. Located within a growing community and a popular strip mall in Placer County, this franchise has been established for 24 years and the owner is absent from customer service. The franchise has 775 sq/ft with a lease payment of $2,421.17 (includes CAM). The $1500 a year Franchise Fee has been paid until May 31, 2013 and that is also the date that the current lease option expires. A full time working owner should be able to reduce labor expense by $20,000 plus and also greatly improve the sales yield of purchased ice cream products. 2005 tangible sales were $290,622 with a related net pofit of $17,415. Tangible sales for the first 9 months of 2006 was $222,524. Take the next step to register and complete the online confidentiality agreement to get the restaurant name and address. Also you'll be given previews to our new listings in the future, giving you the greatest chance to �scoop in� the best opportunities as they become available. Working Owner Should be Able to Reduce Labor Expense by $20,000.